Prospective parents are invited to visit our Sixth Form during Open Days at Burgess Hill Girls. Alternatively, we would be delighted to arrange an individual visit. 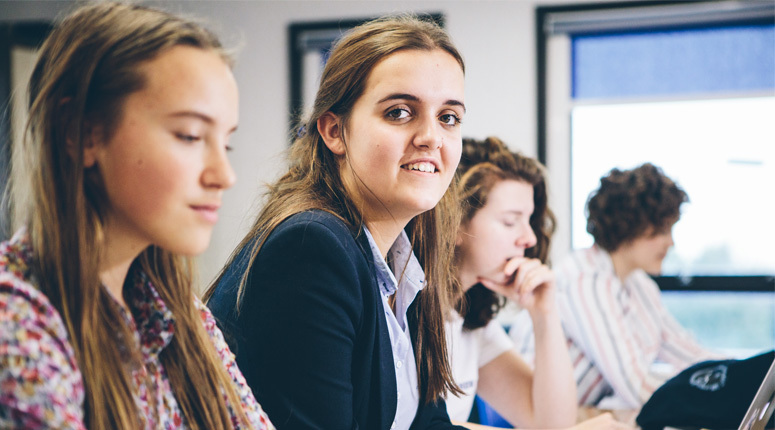 We do not impose a formal entry requirement for entrance to our Sixth Form as we believe that all students can benefit from the flexibility of the programmes we offer. However the achievement of six Grade Bs or better at GCSE is usually an indication that a student can cope well with the demands of Advanced Level study. Students from overseas are required to provide evidence of their ability to understand and write the standard of English required for Advanced Level studies. A report from the student’s school is always required before a place can be offered. Our unique pathways programme is designed to meet each student’s individual specific circumstances and entrance requirements will be tailored to meet those. Wherever possible the Head and Head of Sixth Form like to interview external candidates. Sixth Form Scholarships for entry in September 2019 will take place in November 2018. For more information, please email Admissions or call 01444 241050.